stressfreeteacher.com is a very popular and influential blog, promoting the wellbeing of teachers and offering advice and support. 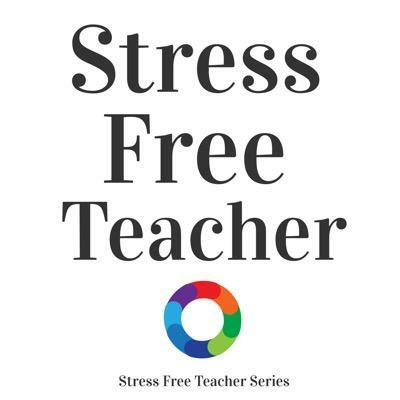 We are delighted to publish this interview with its author, The Stress Free Teacher. You are very frank on your blog about our own experiences with stress, why do you think so many teachers suffer from these kinds of difficulties? Well you see when we consider mental health and the issues that surround wellbeing, I think it is important to have an open and honest discussion about its causes, effects and the damage it does; not only to staff wellbeing but on resources and the pupils who we teach. The Stress Free Teacher blog was never really meant to make its way into open water, never mind receive the recognition by the profession that it has. @stress_freeuk has over 22,000 followers on Twitter and www.stressfreeteacher.com receives over 500 visits a day. This shows that the wellbeing of teachers is something that shouldn’t be taken lightly. I always intended for the blog to be anonymous as I didn’t want people to know that it was me who had suffered in this way. The more I blogged the more people followed me and contacted me to say they were feeling the same pressures and had felt the same way. 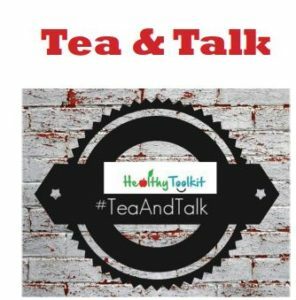 In some weird way I have put myself in a position of being a digital ambassador for teacher wellbeing and promotion of mental health within the profession. 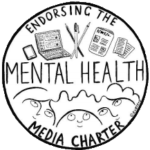 I received support from the Education Support Partnership and so I always try and do my best to include references to them as a thank you on my blog and twitter feed. I used to think that my destiny was to become a Headteacher – I now truly believe my role is bigger than that and see myself making a difference to people’s lives in future through the wellbeing route. Teaching in a 21st Century School is tough! In fact I’m not even sure that NQT’s and Students attending ITT courses are aware of quite how tough it can be. There is a retention crisis at the moment up and down the country, why? Well, the main reason is that teachers in 21st Century schools (more than ever) are having to find a way of managing to cater to the demands of the profession as well as be a father, mother, husband, wife etc. Get the balance tipped in the wrong direction and teachers find themselves on the wrong side of stress and feel the effects of anxiety and depression. Teachers entering the profession with the aim of making a difference to young lives are finding the role doesn’t just involve teaching in the classroom, but being prepared to sacrifice the majority of your waking hours to the profession. Sure some schools have different expectations of their staff but if you work for a Headteacher who ‘manages’ more than they ‘lead’ you could find that you’ll be required to work every waking hour you have, to achieve expectations set for you. I found myself in a similar position. Having always been a teacher who is well respected and valued for my contributions to school life; I found it very difficult to deal with unrealistic demands on my time and resources. I’ve always wanted to do my best in school whether it is leading a subject, teaching in the classroom or supporting/coaching staff. When faced with the unrealistic demands and being reprimanded for not achieving them I slowly began to sink into negative thinking processes, destructive habits crept in as a means of coping with the stress I was under and ultimately a day came when I could not face entering my place of work. It is also true that males are less likely to admit to having a problem with stress, never mind seeking support and encouragement from an outside agency. Therefore I feel that I can help break the mould slightly by voicing my opinions, sharing my experiences and helping end the stigma attached to mental health. In schools in 2017 there are many teachers struggling to stay in the job because of their mental health – we can walk around with our eyes closed pretending this isn’t the case or we can do something about it! I prefer the latter! 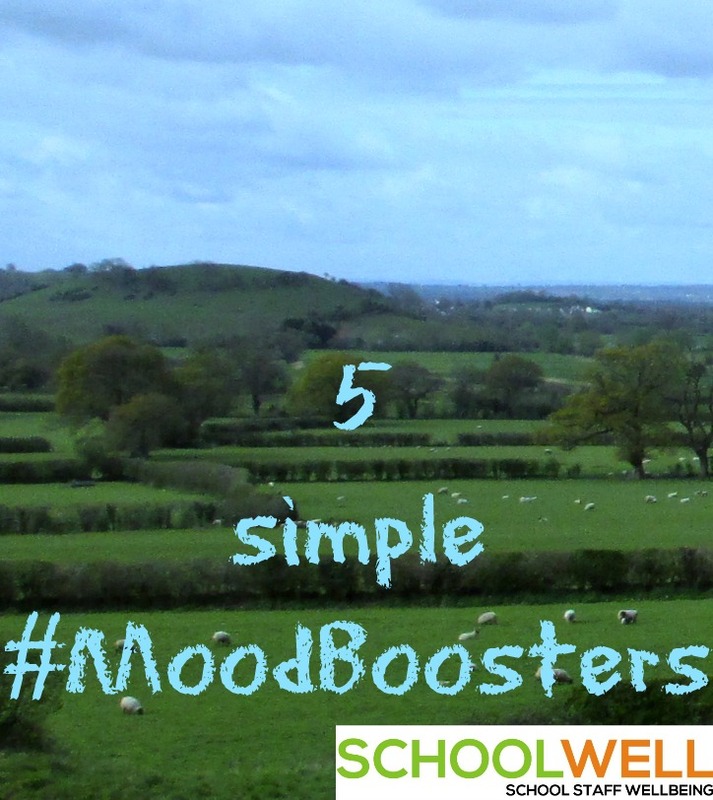 @stress_freeuk and @samschoolstuff are already striding towards this goal and so I am happy to be a part of your blog! What would be your advice to a teacher who finds themselves unable to cope with their situation? Firstly my advice to any teacher struggling in school would be to contact the Education Support Partnership before the problems escalate to a serious matter such as chronic stress, severe anxiety or depression. For those teachers already finding themselves with these symptoms I would advise them to voice their opinions and feelings to SLT / Headteacher and follow guidance set out in the school’s wellbeing policy. If that doesn’t work the NUT, NASUWT, ATL etc all have departments that can help guide you in a process to protecting your wellbeing. I found my HR department to be very understanding and on my side as an employee more so than the school. Find the number of your local HR department and contact them directly if you feel there is a problem – but always try the Headteacher first. Nobody can try and solve a problem if they are not aware of it. It can be a tricky subject to broach as many teachers don’t want to seek help because their teaching has slipped in some way as a result of the stress that they under. E.g. marking may have slipped; lessons might not be deemed as good or deadlines may have been missed. However if a teacher is suffering with serious stress those things will have slipped because they are stressed. I know I felt like it was all my fault. I felt that I was not hitting deadlines etc. and that as causing me to feel this way (of course this was the case) but it wasn’t the reason for my stress. I was stressed and overworked and exhausted and these were the contributing factors to my stress and anxiety. When trying to meet unrealistic deadlines it’s easy for teachers to fall into the trap of stopping socialising with friends, missing family events with loved ones and spend more time doing work. It’s also easy to drink more coffee (a depressant) to stay awake later in the evening, to wake earlier in the morning to try and meet deadlines and if they are a smoker to smoke more to try and calm themselves. Mix in a bottle of wine to relax etc. and you have a recipe for disaster. These are all coping mechanisms that are going to lead to more stress not less. It is important that teachers use positive coping mechanisms talking to someone productively about their problems/issues e.g. a counsellor (Education Support Partnership can be accessed by all teachers completely free of charge). Yoga, meditation, fitness regimes, walking, running, visiting the gym etc. can all help. Reduce caffeine intake – less coffee and fizzy colas. Good sleeping patterns need to be adhered to as well. If a teacher finds that they don’t have the time to visit the gym or go for a walk then all the more reason to make time for it. Missing these vital things causes resentment and resentment leads to stress. 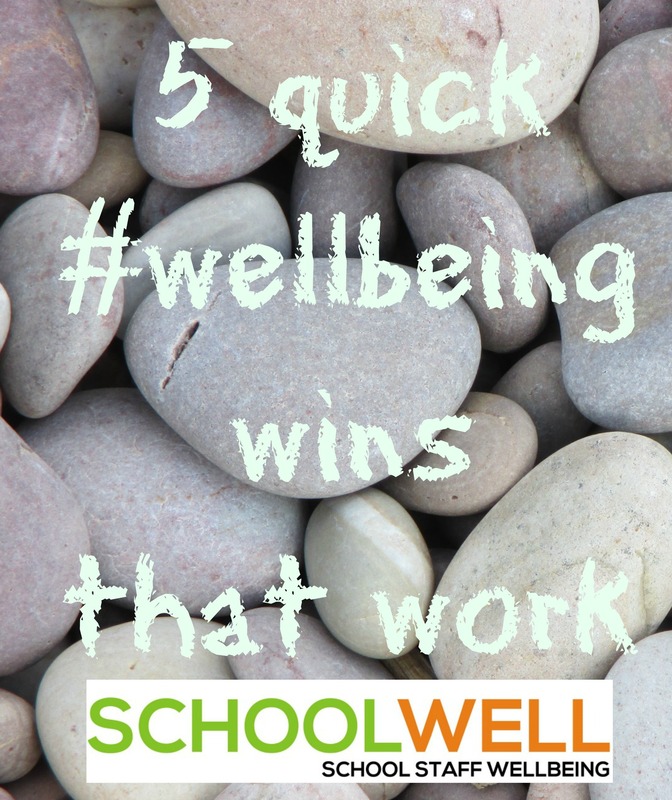 When it comes to staff wellbeing, where do you think responsibility lies? As I have already mentioned I think it is a two-fold process. 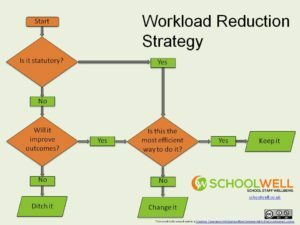 The government, Estyn/Ofsted, Councils, Headteachers and Governors should all be aware of the demands being put on teachers and realise that procedures need to be slim-lined in order for national expectations and local expectations to be met without feeding the culture of burnout that currently exists in education – adding to the retention crisis in our schools. We need to put the wellbeing of teachers at the heart of what we do in schools. A happy, well cared for member of staff is going to deliver in the classroom 10x more productively than a stressed teacher. This is a no brainer. As senior leaders we need to recognise when staff morale is low in groups and in individuals. I also believe that as teachers we have a duty to ourselves to say NO when demands are too much. I think we have to put ourselves first in our lives as a burnt out teacher is no value to anyone. I think we need to have good stress management strategies in place and that this should be taught and delivered to us in INSET sessions and during CPD opportunities. School budgets look set to shrink in the coming years, what effects do you think this will have on wellbeing and what could schools do to mitigate them? Well of course less money in schools means stretched resources. Stretched resources mean that teachers will take on extra responsibility within schools leading to greater accountability which will lead to more stress. To me it is a no-brainer – how much do we value the education of children in the UK? We moan when they don’t compete anywhere near other countries on the world stage, i.e. PISA, but what are we doing to improve things? I mean really? I can think of many scenarios up and down the country whereby one school has an iPad per child in their schools and top of the range resources etc whilst a school down the road is struggling with less than satisfactory equipment. One school has TAs in their classes assisting with learning whilst some teachers barely see a teaching assistant. If we are to see better results we need to invest in the future of our children. Let’s give the children in our care the very best the country has to offer, not the minimum we can get away with. We feed our pupils the cheapest meals we can; we give schools the cheapest budgets we can. We stretch resources as much as we can – then we wonder why education isn’t doing as well as it could be? C’mon Britain wake-up! Do we want our schools to be better? Then invest in them and give them the appropriate resources, correct equipment, look after the teachers and then in turn the teachers can look after the pupils. Your site features lots of tips for relaxing and dealing with stress. Which methods do you personally use the most? When I was off work with stress I read lots and lots around the subject. I tried to educate myself as best I could about the mind and body to better aid my recovery. I tried to understand the physical processes my body was dealing with and the cognitive behaviour processes my mind was facing. I tried to read about strategies for improvement and how I could equip myself for the future. This knowledge and research has been gathered together in a book I have written published by John Catt Publications (Available to Purchase 17-2-17) and can be pre-ordered from Amazon now – Eat, Teach, Sleep, Repeat? A guide to managing the stresses and strains of teaching in a 21st Century School. I found many strategies beneficial – Yoga was a great way of bringing about an awareness to how I was feeling at a given moment and for re-focussing my energies. I am a keen runner so I invested lots of my energy into getting fit again by running outdoors. Exercise has proven stress relieving effects and so I found running to be a welcome addition back into my life. I also use a range of mindful meditation apps on the iPhone. I find that this relaxes me and helps me re-focus on tasks ahead. I made major life improvements. I no longer drink any alcohol – which was difficult at first particularly at family events but I have switched to ‘alcohol-free lagers’ for such events. Not that alcohol was ever a problem but I feel better without the ups and downs of alcohol. I switched to decaf coffee. I gave up smoking and try to get outdoors as much as I can. I try to maintain a stable and calm personality as much as possible. If I find myself saying “I can’t go to and exercise because I have too much work to do!” I go and exercise all the more! After I have returned I feel more re-energised and ready to work as I feel I have done something for myself. It stops me feeling resentful of my work. I do as much school work as I can in the hours I am in school and I save as much of the weekend as I can for myself and my family. Work on Sunday is banned in my house! I’m also a keen blogger and I find that blogging about wellbeing and wellbeing improvements help me to focus on being the best version of myself that I can. I know if I am at my best the pupils in my care will thrive off my enthusiasm, drive and commitment.